James Hamilton was born the son of Andrew Hamilton and Anne Browne, probably in Virginia. His father was the Philadelphia lawyer famous as the defender of New York printer John Peter Zenger. James was educated in Philadelphia and England before becoming a practicing lawyer in 1731. After succeeding his father as prothonotary of Pennsylvania’s supreme court in 1733, James Hamilton remained politically active in Pennsylvania for many years. At the local level, Hamilton served as an alderman and as mayor of Philadelphia. In the colonial era, he held a number of posts at the provincial level, including assemblyman, member of the Provincial Council, and lieutenant governor of Pennsylvania. 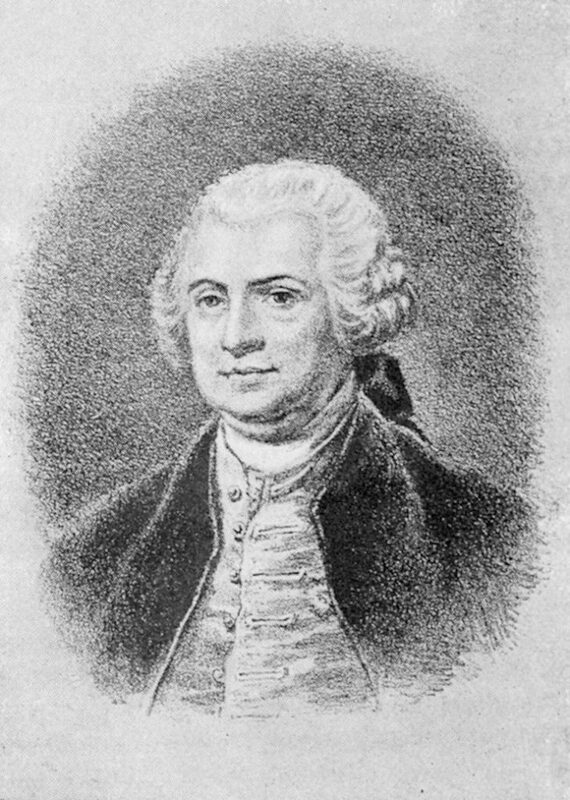 He served as president of the American Philosophical Society, and as president of the Board of Trustees of the Academy, College and Charity School of Philadelphia (now the University of Pennsylvania) in 1764 and from 1771 to 1773. He was also an ardent supporter of painter Benjamin West. Because of his long years of political service with the Proprietors, Hamilton did not support the American Revolution, but he appears to have had no problems with the new state authorities. Hamilton died in New York in 1783.